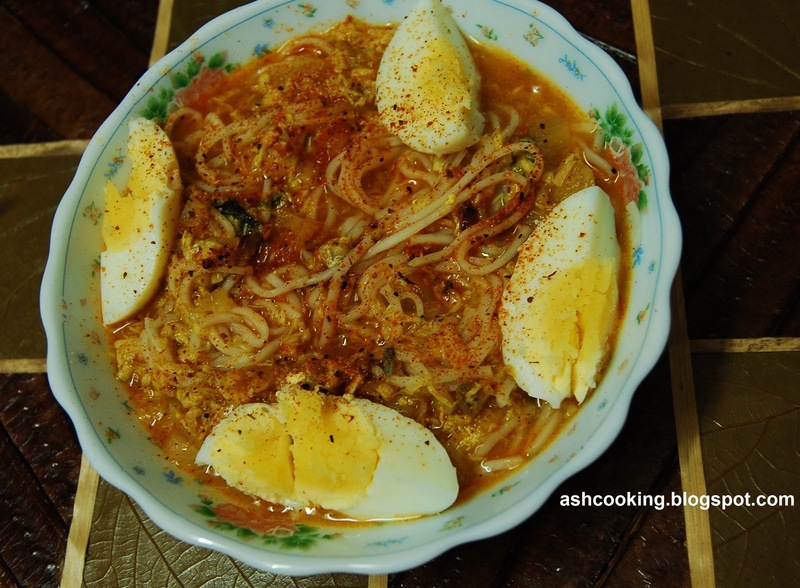 Mohinga is a popular Burmese delicacy cooked with fish stock and noodles and served with a variety of accompaniments. Because of my father's association with Burma, some of the Burmese dishes were staple in our home, Mohinga being one of them. After marriage, since the time I first cooked Mohinga, my husband grew so fond of it that nowadays whenever he brings rohu fish from the market, he pleads to have it cooked at least once. The recipe is super simple and best tried with the back pieces of rohu fish or any other fish of your choice with fewer bones. So far I have cooked mohinga with rohu fish only; using the back pieces for it is easier to remove the sturdy bones sticking from the back than the rickety ones. If you try it with any other fish please don't forget to let me know how it turns out. 1) Boil the fish pieces for 5 minutes. Remove the bones and crumble the fishes. 2) Heat oil in a saucepan. Add onion and sauté till onion turns translucent. 3) Add tomato puree, ginger-garlic paste and all the spices. Sauté the spices adding little water. 5) Let the soup come to a boil. Meanwhile, in 3-4 tbsp of water mix in the corn flour and stir it to a smooth consistency before adding it to the soup. 6) Stir the soup around to help the corn flour assimilate. Check seasoning one final before turning off the gas. 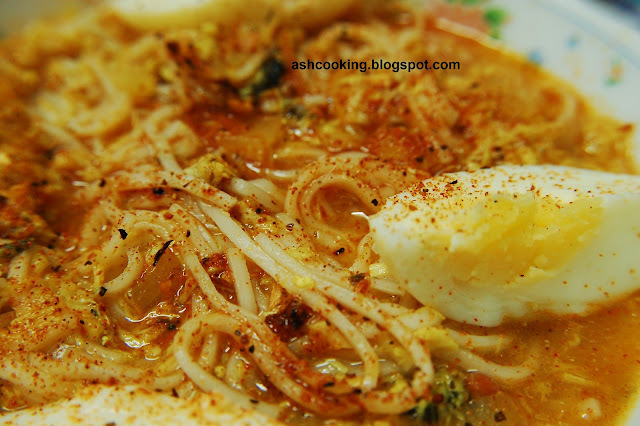 7) Now in a serving bowl, place noodles and then pour few ladles of soup. Squeeze lemon juice on top. Sprinkle chilli flakes and garnish with eggs. 8) Mohinga is ready for serving. Enjoy.